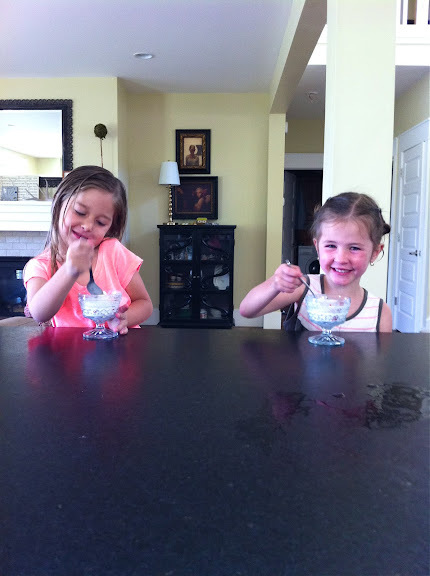 Lily invited her cousin Grace up for a cousin day today. So far they've had a picnic, gone swimming, taken a bath, had a snack, watched a movie and eaten ice cream! When I told Randy all that they had been doing, he said: "I want to be four again." Haha. Being a kid is pretty great. And being a kid at the beginning of summer? Well, that is just about the best thing in the whole wide world. I mentioned in another post that I hand mixed some ice cream Cold Stone style for dessert one night. It's right smack dab between hard pack ice cream and a shake. It's totally yummy. 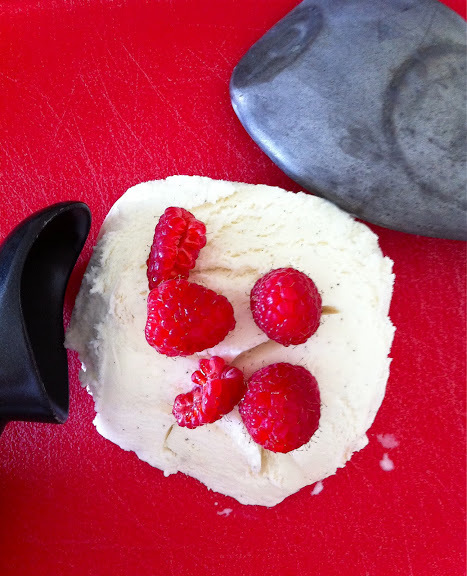 I made raspberries 'n' cream for the girls. 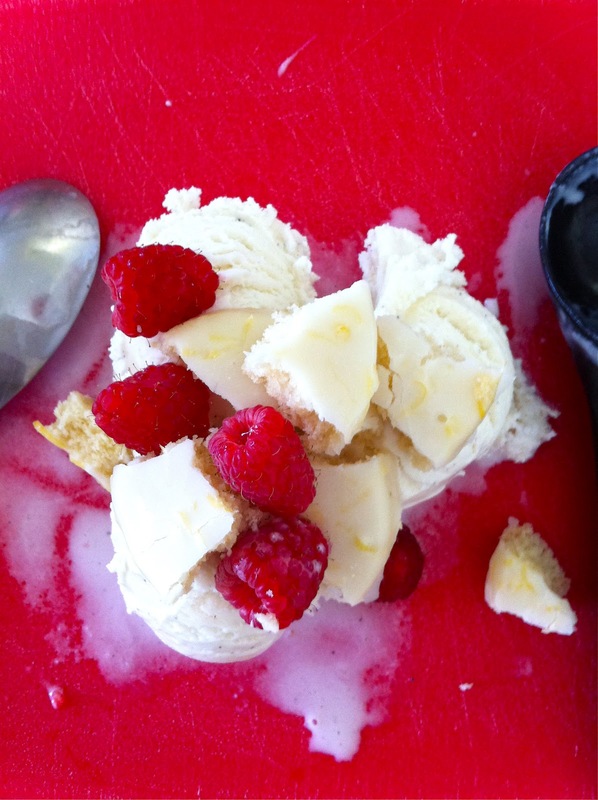 I scooped vanilla ice cream out onto my cutting board and placed a few fresh raspberries on top, then just scooped and smashed the ice cream until it was mixed. And for me, I mixed in some lemon cookies. It was pretty naughty. Hope your Wednesday is going swell, dudes. Thanks for popping in! You are making me salivate dude. Sounds yummy and a great idea! I wanna be a kid too! I guess that's what our kids are for.... To help us be a kid again! Kara- it was a fun day! We are excited to do the same with Ace and Inders. Audrey- totally. We are living our second childhood! I like fresh peaches & shortbread or any graham cracker or blonde cookie!